Submersible pumps are units combining pumps and a motors to enclosed units, suitable for submerged installations. Underground water is advantageous and more reliable compared to surface water; that is why it is a major source for drinking and irrigation in Africa. According to Researchers from the British Geological Survey and University College London (UCL), total volume of water in aquifers underground is 100 times the amount found on the surface yet across Africa; more than 300 million people are said not to have access to safe drinking water. The greatest ground water storage in Northern Africa is found in the large sedimentary basins in Libya, Algeria and Chad. The amount of storage in these basins is equivalent to 75m thickness of water across that area; it is a huge amount. Groundwater responds very slowly to variability in climatic conditions including droughts, and it is generally of better quality compared to surface water. Equipment like submersible water pumps makes it possible to access underground water for use. A submersible pump is an appliance which has a hermetically sealed motor close coupled to the pump body. The entire couple is submerged into the water to be pumped. This type of pump is advantageous compared to jet pumps because it prevents the formation of vapour cavities in a liquid that are as a result of forces acting upon the liquid. The pump pushes water to the surface as opposed to pulling. This water pump can be dated back to the mid 1960s when the first submersible deep-well water pump was fully developed. They can either be solar or electric powered. 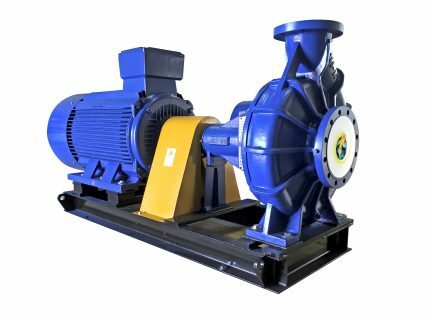 The working principle of an electric submersible pump is such that they are multistage centrifugal pumps that operate in a vertical position. Even though their features have gone through immense evolution with regards to construction and operation over the years, there has been little change in their basic operational principle. Their operational mechanism is such that, the extracted water; after having gone through great centrifugal forces brought about by the impeller’s high rotational speed, lose their kinetic energy in the diffuser where the kinetic energy is converted to pressure energy. The pump shaft is connected to the gas separator by a mechanical coupling at the bottom of the pump; where fluids enter the pump through an intake screen and are lifted by the pump stages. 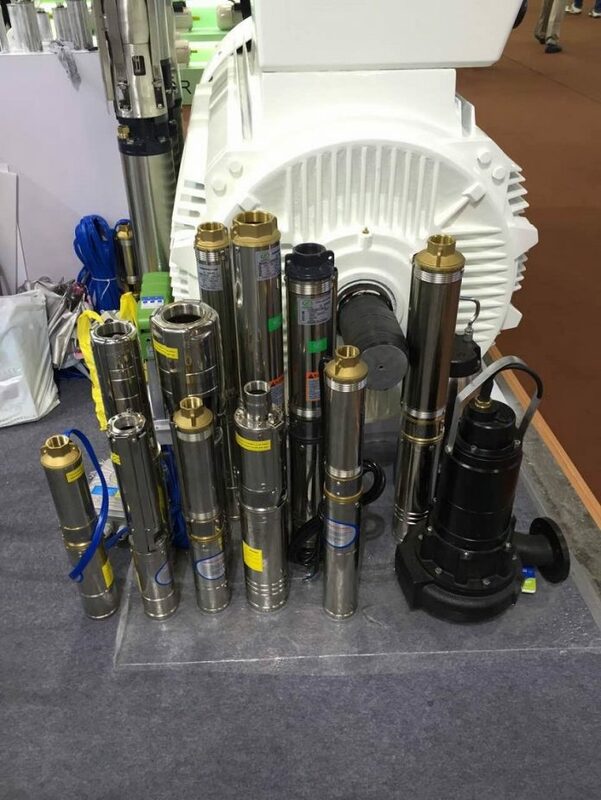 Moreover, submersible pumps have cables that are specially designed to be used under water or on wet ground; or in similarly harsh conditions. Therefore, these cables can either be used in fresh water or salty water and they are also well suited for direct burial and within well castings. Additionally, the size and shape of submersible pump cables can vary depending on the preference, usage and pumping instrument of the installer. The major advantage of a submersible pump is that it never has to be primed, because it is already submerged in the fluid.Their efficiency is unquestionable because they don’t really have to spend a lot of energy moving water into the pump. Water pressure pushes the water into a submersible pump, thus “saving” a lot of the pump’s energy. Also, while the pumps themselves aren’t versatile, the selection certainly is. Indeed, due to the fact that the pump uses no suction to get the water through to the pipes or hoses, the pressure is optimized. This allows the water to move over a greater distance, which can be useful for larger farms. Another significant advantage of a submersible pump however lies in the fact that unlike other types of pumps, they do not need to be primed before operating. This not only saves time, but also reduces risks of overexertion. However, caution must be used with submersible pumps; they must be fully submerged. The water around a submersible pump actually helps to cool the motor. If it is used out of water, it can overheat. Mr. Ashok Patel the Chief Executive Officer of Kridha Limited insists that, submersible pumps are the ideal devices when one is dealing with underground water. This due to the fact that they are submerged into the water hence they are not exposed to sand or pebbles found on the surface which may cause blockages in case they find their way into the pipes. “The pumps are also automatic hence they pump the water whenever it is available,” he added. Kridha limited is a multi-disciplinary business entity that provides effective water treatment and related technologies. The company practices a professional consultancy agency specializing in water treatment systems and equipment. They also manufacture water treatment and recycling systems and equipment for industrial market as well as domestic sector. Standard and customized systems from Kridha Limited address concerns on water treatment and recycling, rainwater harvesting and waste water treatment. 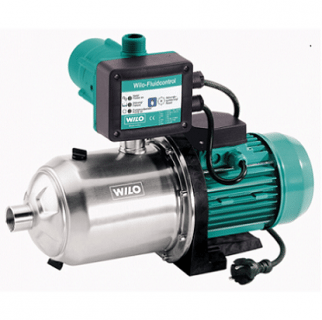 According to Mr. Patel the company has recently started to distribute water pumps from Wilo, a leading water pump manufacturer based in Germany. 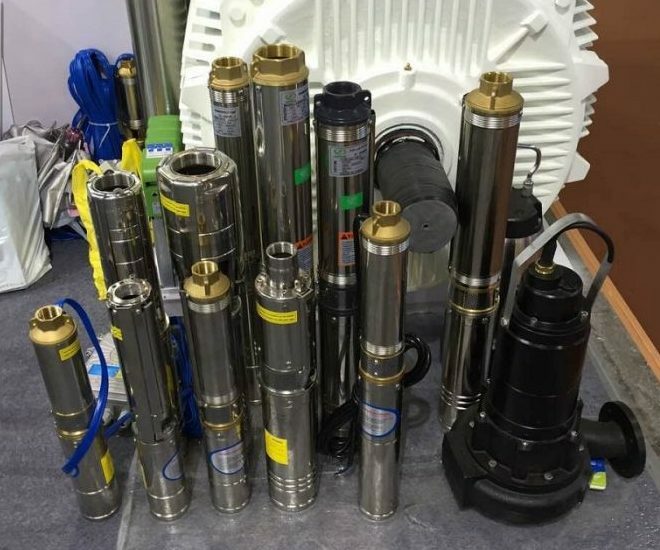 Submersible borehole pumps“Wilo is a world leading manufacturer with a presence in over 80 countries and a total staff of over 8,200 worldwide. They offer the best prices and their pumps are long lasting with 6 to 7 years silence; plus they reduce power by 5%,” he added. Mr. Patel also pointed out substandard pumps as the main concern in the market. “They are very cheap since they are not of good quality. I think awareness should be created in the market to protect our customers from such,” he concluded. Julia of Aurum Pumpen GmbH insists that, Africa requires modernization in many aspects and an advancement of old technology in order to reach higher efficiency. “Very little attention is paid to energy-saving products, which nowadays offers the modern technology worldwide. Therefore the productivity in Africa doesn’t show a high rate. At the same time there is no existing innovation system to enable global modernization on the African market,” she said. Aurum Pumpen GmbH is a manufacturer and a global supplier of industrial pumps and valves. “We have distributors and representative who supply our products and services to any place around the world,” said Julia. “Additionally, all our products are tailor-made and individually selected for application conditions in terms of the project. We precisely select wear-resistant materials, which enables a long-term service life and a low-cost maintenance of the pump. The high-quality bearings we install have a long time operating period and need no replacement during that time,” she said. Mr. Yusuf Peker of SUMAK POMPA a manufacturer of pumps in Turkey advises clients that, apart from the technical specs of the pumps, they should buy good quality pumps from companies that are able to support them with the technical know-how. “That is important for long-term relationships and good business,” he said. Mr. Herman Cremer of SuperPump a premium supplier of water pumps in the African market, further reiterates that, a buyer should ensure that he buys from a reputable company with a strong after sales service record, that offers a quality product. Price should not be the deciding factor, as this can lead to costly repairs and replacements later on.